Each year, Wes's in-laws congregate in the remote wilderness of Idaho for an all-out countrified G2G, complete with horse shoe throwing, fishing, wake-boarding, and burger eating. This year the rumor is music is being added. 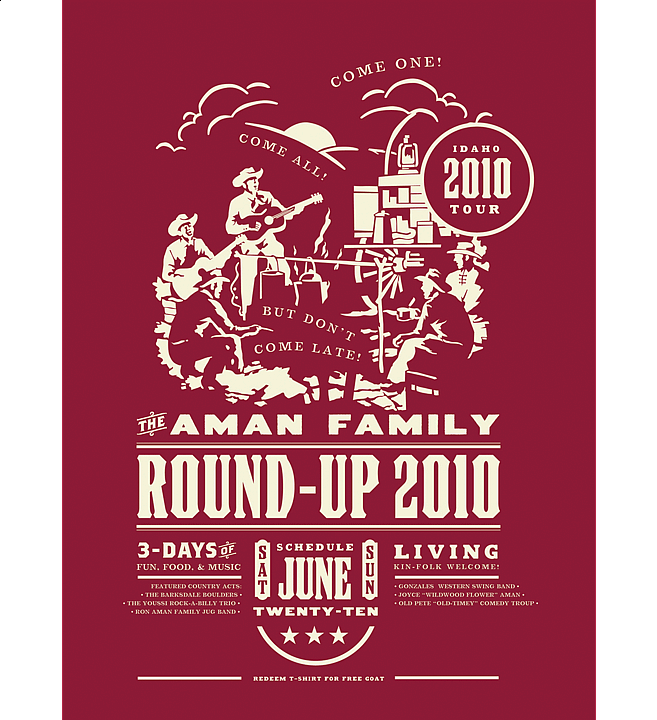 Being a big fan of Americana music and culture, Wes couldn’t miss this opportunity to make the end-all-be-all country tee that celebrated the family circle. He's already looking forward to the next round up.